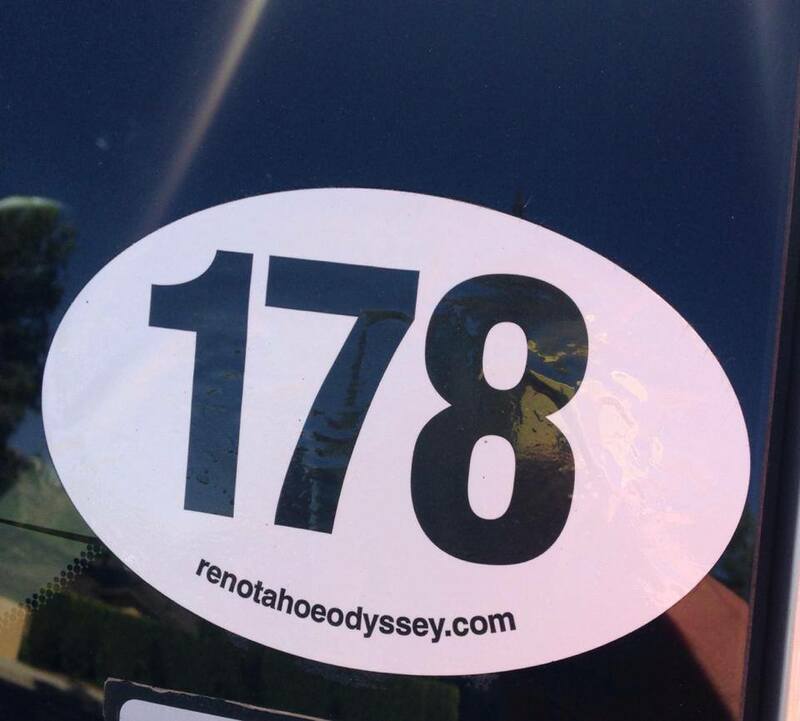 Part I of my interview with Race178 President and Reno-Tahoe Odyssey Race Director, Eric Lerude. One of the most important, and sometimes most difficult, decisions in our lives is determining what career path to choose. In our teens this decision first makes an appearance when we decide where to attend college and what major to pursue. Then we go after our first job in our early 20’s and by the time we are 30 we have almost a decade of experience. With every passing year, the risk of making changes becomes greater and greater; not only for the career, but also factoring in elements like a spouse and kids. This was the decision Eric Lerude made in 2005. Having majored in finance and then passing the bar following law school graduation, Eric was a well-established attorney with 15 years of experience. However, having selected law school under the assumption that being a lawyer was a good job, he never found an intense sense of satisfaction from his work. That changed in August of 2003 when Eric ran the Hood to Coast relay race in Oregon. He had started running at a high level and this race was an opportunity to explore a new area. It ended up being the “ah ha” moment that changed his life. Flying home, thoughts went through Eric’s mind about how he could create a similar experience that would showcase the city he was born and raised in, and loved – Reno. This was the moment of birth for what would become the Reno-Tahoe Odyssey (RTO), a 178 mile relay race around the city and lake (The full story of the RTO is in Part II). Suddenly, a new level of passion came over Eric like never before. This energy pushed him to spend the hours outside of his full-time job to pursue this new adventure. Shortly thereafter, the moment came when Eric had to make the big decision; continue full-time as an attorney or take the risk and more full force into being a race director. This was an easy decision, especially with the complete support of his family. After hundreds of hours acquiring permits, working with the city, applying for grants, marketing, creating a business and doing a little bit of law work on the side, the first Reno-Tahoe Odyssey was ready to go. 10 RTO’s later and the 11th coming up soon, Eric’s transition has not only been successful, but tremendously rewarding. It is easy to see and hear the immense passion Eric has for his new career. Being able to authentically connect with others, centered on living a healthy lifestyle, generates even more passion and drive. Looking back, Eric shared the lessons he learned. In making a career change, ensure it is what you have a passion for. Leverage the knowledge and experience you have gained as much as possible. Support from those around you is an important element that can make the difference. And the most important lesson, “There is no magic pill.” Changing careers requires a tremendous amount of work and effort. Take advantage of classes, advisors and/or consultants who can help to make this transition easier. You don’t have to do it alone. Making a career change should not be done lightly and only after many discussions with family, friends, mentors and professionals who understand the path you are looking to take. While there can be great risk, I feel that passion and dedication towards a goal is a potent combination for achieving success. Eric used his passion to achieve his goal and is now planning the 11th RTO, along with several other races he now coordinates. The lesson I took away from my conversation with Eric is to go after what drives you, using your passion and dedication to help find success. Check out the Race178 website to see all the races Eric puts on and think about signing up for one!